The wearable device is really useful where you need to check updates on the go without unlocking your phone and swiping the notification at regular interval. But one may claim that it's too much to have a wearable and getting notifications instead checking your phone. The design and way it syncs with your handheld device are awesome and even more awesome when apps respond you based on contexts like location, temperature and other conditions. Android wearable application development is really a broad topic where as it's growing drastically. Even now recently Google announced inbuilt android play store, the keyboard for wearable and last year they introduced emoji and WiFi support for wearable apps. 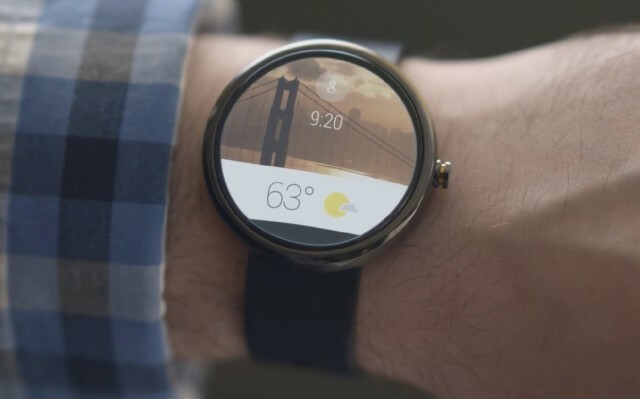 we will see about basics of Android wearable development and types to support existing apps. Wearable is meant for checking updates on the go and quick replies. It's not same as your handheld device to show all available information to the user. It must be optimised to show the relevant and Updated data to the user in regular intervals. So, It's important to focus more on design and relevant data to the end user based on context. Basically, whenever your app shows notification in your handheld device it will automatically push to the wearable device at no cost of coding it. But when you need to support it extensively with actions, paging additional information as slider you should support it via notification App compat support library. 1) Notifications App compat support library. 2) Watch Face design and Data communication and syncing. 3) Extensively designing UI and installing an app in wearable. Notification App compat is all about extending support for existing notification in wearable devices without writing additional code for wearable. with notification app compat library you can simply create a notification for your device and wearable devices with additional options such as Actions, Quick reply intents etc. Basically, watch face is nothing but just like your home screen with widgets but it can run only one app at a time, showing multiple data such as temperature, steps your while jogging, the heartbeat can be obtained through content providers or sensors. There are tonnes of watch face in play store. 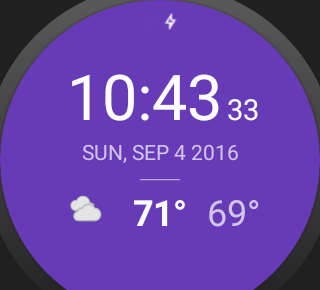 Watch face is considered as a home screen where you can check regular and frequent updates. In the Ambient mode, your watch tries to save battery by not allowing to update the screen frequently. you will get the chance to get updates in minutes basis. Most specifically your watch face should use Black and white pixel colour while in the Ambient mode to save energy by repainting the view now and then. you can't able to update second hand in the clock where it requires every second update. In normal mode, you are allowed to use colours and drawable but that doesn't require high resource and frequent updates that make your watch face unresponsive sometimes. Designing extensively for Android wearable using layouts such box inset layout, grid view pager, Watch view stubs and a variety of layout is supported by support libraries. Data communication API, Message API is available with Wearable API that comes under google play services, which delivers and sync data between the handheld device and a wearable device. So we just covered the basics of Android Wearable App development which is different from app development in terms of Design and types to support your app. I'll soon publish the post on these types to designing and work with these API for wearable apps. Recently Google announced that Wearable major update 2.0 preview that doesn't require a phone to be connected always. you can use it wherever you go and sync via the cloud. we're eagerly waiting for stable SDK support and watch yet to be released early 2017. For now preview 2.0 is available at official Android developer site. For bugs, hugs just comment below. in case any doubts drop me a mail, or chat wiht me in G+/ Facebook. share is care.